...Is Internet Marketing Part of Your Plan? Welcome to the latest edition of the Inside Edge--your monthly report on Internet trends and advancements that can turn your business into a more profitable e-business. In this month's edition we share with you some universal trends and statistics about online marketing that can help you fine tune your e-business. As you get ready to ring in the New Year and plan future marketing strategies, don't forget to include Internet marketing as an integral part of your planning. Another year is on its way out and many business owners like you are reflecting on the successes and failures their business has experienced over the last twelve months. It is also a time when goals and objectives are being set for the coming year. Strategic marketing planning in the small and medium sized business world is increasingly becoming a vital business function. As market orientation changes with customers defining higher levels of expected customer service, organizations need to focus heavily on product and service quality and availability, competitive pricing and access to information. Your business, no doubt, will also review and refine marketing methodology for the next year with a view to retaining customers, attracting new ones and increasing overall profitability. Interestingly, each of the steps mentioned above, can and ideally, should have an online component. If Internet marketing wasn't a significant part of your marketing planning until now, you may have missed the flight, but you might still be able to get on the boat! Maybe you have used online marketing techniques already, in which case, it's time to take a close look at the behavioral patterns of your online customers in order to attract more targeted traffic and convert more customers. Take a moment to think about how your website would rate on all of the above expected best practices. It would be worthwhile to meet with your WSI Internet Marketing Consultant and discuss areas of improvement and how they can be achieved in the near future. Based on your business goals and objectives, what results do you want your website to accomplish? Think in terms of expanded reach to a greater audience, increased targeted traffic, enhanced customer conversion and bigger, better, ongoing profits. How much are you willing to invest in order to achieve those results? Aim to ensure that your cost per new conversion or cost per customer retention is justified not only by the overall revenue but also by the level of spending per customer. For example, an email marketing database of high net-worth prospects should not cost you more than the income potential that these prospective buyers have to offer you. Also, if you have been using Internet marketing techniques like Pay-per-Click (PPC) by doing it yourself, analyze whether it is worth spending the kind of time you would for the results you can achieve on your own. Or would it make better business sense to outsource a highly effective, yet inexpensive online marketing technique to an expert who can guarantee optimal results and ongoing RoI? 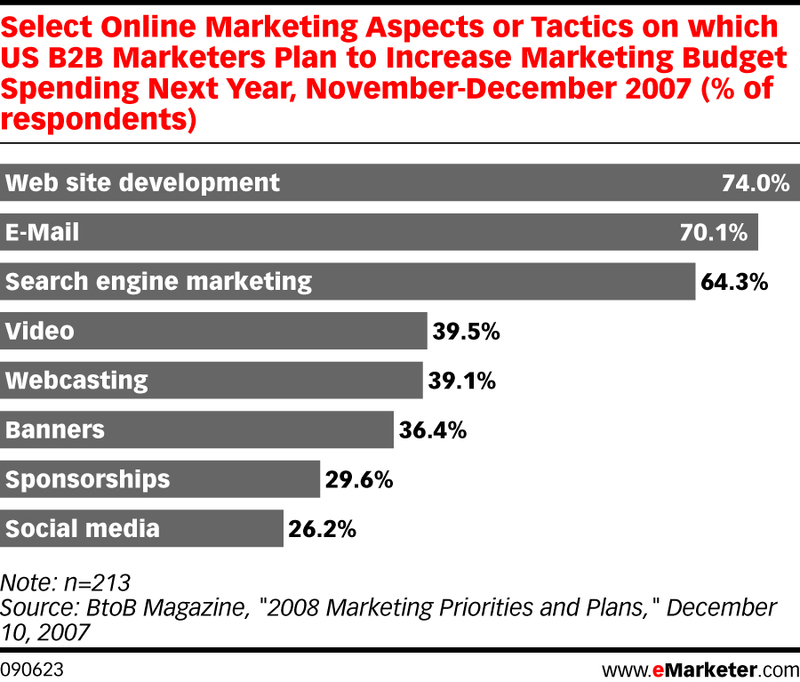 Internet marketing aims to create effective "call-to-action". Have you defined the desired "action"(s)? What do you want visitors to do when they come to your website? To turn visitors into customers, you need to know your target audience and give them reasons to work with you instead of the competition. Use Web analytics reporting to study customer behavior and pay attention to the areas of "high abandonment" in your site. Over the last year, the WSI Inside Edge newsletter has covered several Internet marketing fundamentals, trends, techniques and best practices such as Search Engine Optimization (SEO), Pay-per-Click (PPC), Email marketing, Web Analytics, e-Commerce, Online brand building and so on. To find out more about how you can leverage any or all of these Internet marketing methodologies by including them in your marketing plan, contact your WSI Consultant today. This could be an important meeting for your business. WSI, headquartered in Toronto, Canada, is ranked the #1 Internet Services Business in the world. With systems that have been developed, utilized and proven by over 1500 Internet Consultants in 87 countries worldwide, WSI delivers thousands of e-Business solutions to small and medium-sized businesses annually.